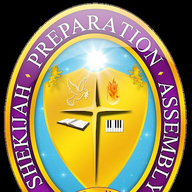 Live from Shekijah Preparation Assembly in the beautiful hill-city of Lynchburg, VA. Join us LIVE or in person at 104 Fleetwood Dr. Lynchburg, VA 24501 (434) 237-7721. Bishop Terence M. Sykes and Co-Pastor Shereé S. Sykes are the founder/leaders. Shekijah is a part of the Mt. Calvary Holy Church of America, Inc. (MCHCA) with headquarters in Washington, DC. where Archbishop Alfred A. Owens and Co-Pastor Susie C. Owens are pastors. Shekijah is also the headquarters church of the Mt. Calvary Holy Church of America Virginia District.